Ebiere is one of Nigeria’s foremost female vocalists and gospel music ministers. The artist who released the hit “Yekileme” in 2006 and other hits working with A-list artists and producers, she is back with a new song. “Holy Spirit is a song for God lovers, a song for God worshippers. It’s a love song to a love God and a testimony of God’s Love and Grace. 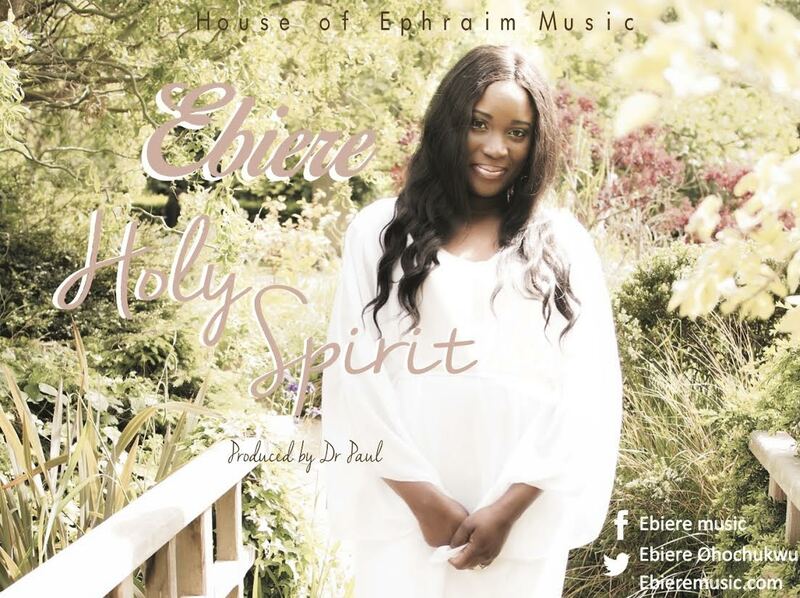 Watch the viral video and download “Holy Spirit” from Ebiere. Ebiere is one of Nigeria’s foremost female vocalists and entertainers. She received her basic music training from the age of 8 to 17 at the Rock Word Church under the mentorship of Pastor Nnamdi Echezona aka King Buskie. At the age of 20, she served as the music director of the Eastern Zone choir of Christ Embassy and also served as the zonal Representative of Christ embassy Praise team Worldwide, where she ministered on various platforms as a member of Pastor Chris Oyakhilome’s praise team. She moved on to establish a Music and Entertainment Outfit called “House of Ephraim”. While in the University of Port Harcourt she was always identified for her special singing ability, with several awards to her credit. She is privileged to have yearly nominations and awards for her contribution to the Nigerian music Industry. Her debut album “Yekileme (Why me)” was produced and released in 2006.As an artist she has performed in various events and churches within and outside Nigeria. She organizes Live Concerts, every other year and in 2013 she successfully embarked on a Concert Tour of 15 Churches in the City Port Harcourt, Nigeria. She has three Albums to her credit; her debut; “Yekileme (Why me) 2005”, “Here For you 2007” and "Pot of Gold 2013". Her 4th Album “Holy Spirit”, will be released this year 2015. She is known for her inspiring lyrics, voice and sound. “My aim is to reach the world with the Gospel of the lord Jesus Christ through music”.